It’s generally agreed that women face more barriers to leadership positions than men. Only 24 women made Forbes’ Fortune 500 list in 2018, representing just under 5% of standout business leaders last year. What’s not so clear is what makes particular women great leaders and whether there are any common female leadership styles that can provide a blueprint for aspiring females. Although they have contrasting leadership styles country leaders Jacinda Arden and Angela Merkel have both demonstrated particular skill in the face of national crisis and have inspired global inquiry about whether women do leadership differently. As more women take on leadership positions it’s time to explore what makes a great female leader and would the world be better if we had more of them? What makes some women great leaders? Joanna Barsh, Geoffrey Lewis, and Susie Cranston conducted five years of research to attempt to discover what drives and sustains successful female leaders and their work culminated in the book, How Remarkable Women Lead: The Breakthrough Model for Work and Life. Their book identifies some of the common characteristics, values, and patterns that underpin successful female leaders. Had a deep emotional connection to work – The successful female leaders didn’t shut off their emotions as many male leaders do, but instead regulated them into fuelling their need for mission, achievement, personal meaning and a feeling of belonging. Every single one of the successful women that Barsh, Lewis, and Cranston interviewed had what they termed as, ‘…a deep well of positive emotion.’ These women were also collectively fearless when it came to their approach to work and they refused to connect fear of failure to opportunities. Were plugged into their community – The successful female leaders were actively engaged in their work community and in the networks that surrounded them and used them to generate opportunities. Instead of valuing hierarchy and detachment, which is common to male leadership, these women were completely engaged with the people that mattered to their business. Managed their energy – The successful female leaders recognised that their success was dependent on managing their energy effectively rather than focusing on work/life balance. They had identified what drained them and what recharged them and had made the adjustments to their environment and their schedule to keep their energy levels high. So what makes some women great leaders? Great female leaders have the capacity to understand, regulate and connect with emotions, which also connects them to the feelings and aspirations of their employees during times of crisis and fortitude. They plug into their communities to gain insights into potential opportunities and threats within the organisation and broader networks so that they can take deft and informed actions when necessary. Their focus on energy management makes them more consistent and less prone to the burnout commonly associated with testosterone-fuelled male leadership styles. They may even promote personal energy regulation as a company value to bring their employees into greater balance. Research has shown that women are more likely to utilise particular leadership styles but they are also apt at blending styles in response to an issue, crisis or opportunity. In general their emotional connection makes them more flexible and responsive to both the environment and to people. They may also be able to adopt different styles for different aspects of the business or endeavours. Transformational Leadership Style – According to research this the most common female leadership style and has strong communal aspects. Transformational leaders aspire people to be better, do better and feel better. They focus on motivation and morale and value teamwork, shared vision, and goals. They provide support and inspiration in exchange for high expectations of outcomes. They also have high expectations of themselves and value integrity and ethical behaviour. As their focus is on transformation they are willing to take risks and encourage those under their leadership to think outside the box. Examples of this style are Former CEO of PepsiCo, Indra Nooyi, Jacinda Ardern, Oprah Winfrey, Michelle Obama and suffragette, Emmeline Pankhurst. Task Orientated Leadership Style – This leadership style places an emphasis on achieving tasks including planning, defining goals, prioritising outcomes and sticking to schedules. The research points to women having the same capacity as men for this style with women having a slightly greater capacity interpersonal engagement and democratic thinking when this style is applied. Women’s capacity for managing while also engaging can be a great advantage particularly when it comes to staff morale and motivation. Men are more likely to be autocratic when manifesting this leadership style. An example of this leadership style is Nancy Pelosi. Directive Leadership Style – The idea that women are more interpersonal and communal than men may be not so clear-cut. 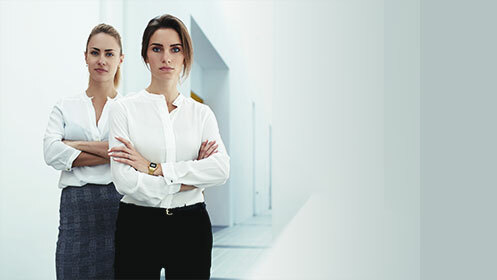 Some women can be directive leaders but extensive research has found that their directive, autocratic behaviour can be viewed more negatively than when a male exhibits the same leadership style. As a result, female leaders put in this position may resort to placating subordinates to get the outcomes they desire, forcing them to blend their natural directive style with something more interpersonal. Sexism in the workplace and blatant insubordination by staff in response to being led by a woman can reduce a female leader’s ability to get things done more directly and efficiently. There certainly needs to be more work done towards addressing inherent social prejudices so that women can demonstrate this leadership style and be respected in a similar manner to men. An example of this style is Margaret Thatcher and Angela Merkel has aspects of the directive leadership style. Can female leaders make the world a better place? There’s little doubt that women still have a way to go to occupy an equal measure of leadership positions in business, government and as thought leaders. What’s becoming apparent is that any woman that decides she’s going to rise as a leader will alter the status quo and her presence will change the face of whatever field she’s in as male leadership has been such an influence for so long. Given the world is suffering under the effects of climate change, autocratic leadership, famine, war, racism, division, misdirection and misinformation a change to the status quo is certainly needed. Female leaders will bring new ideas to the table can certainly contribute to a better world.